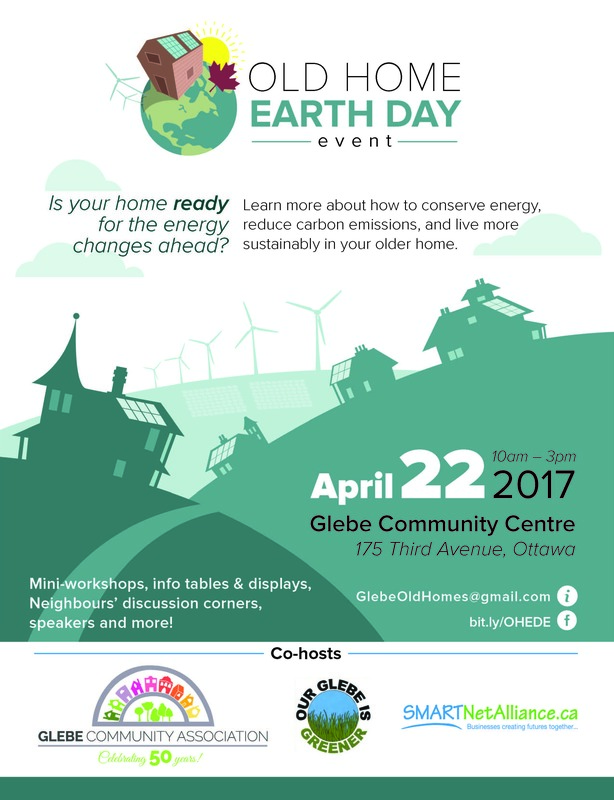 A warm invite for you to drop by the Glebe Community Centre for Earth Day. We have put together a pretty fabulous program for people interested in home energy retrofits, energy incentives, new technologies, decarbonizing our homes! We have speakers, mini-workshops, discussion corners, and tradefair-style info tables. Start is at 10am with a Power-Up light breakfast and panel discussion. Lots of stuff going on till 3pm. Please come and invite all your friends. Hope to see you on Earth Day! This entry was posted in Adjacent Neighbourhood Ads, Environment. Bookmark the permalink.